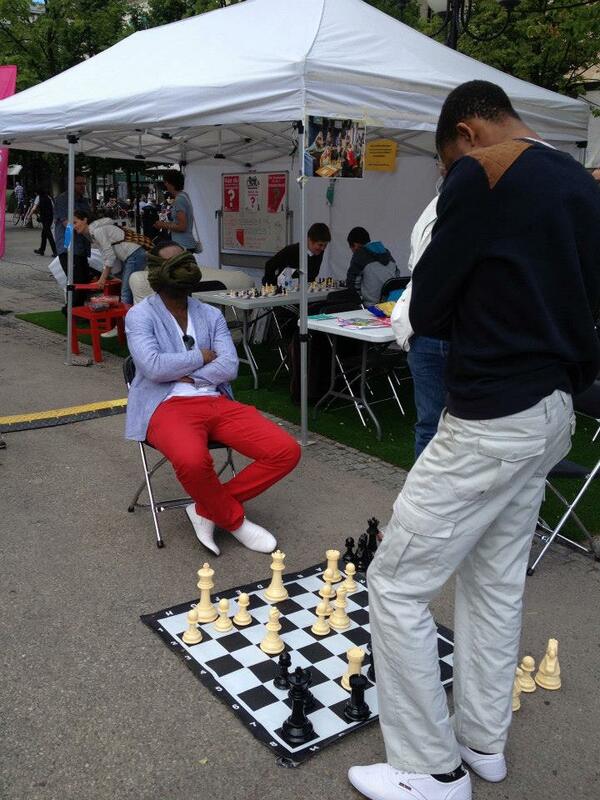 How does a Chess Exhibition look like? It can be a Simultaneous exhibition (short name = simul). Than the exhibitioneer plays against more than one opponent at the same time. 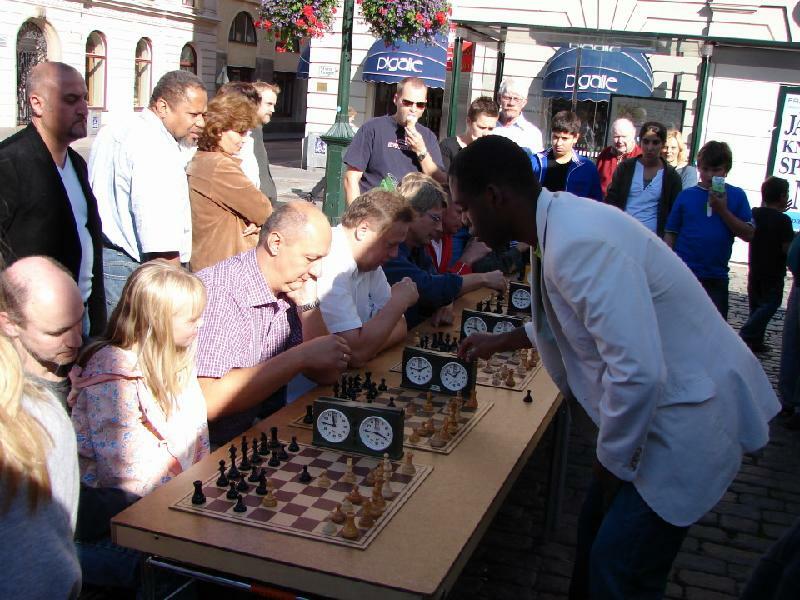 A normal number of opponents for a Grandmaster is 20-30. Wow, don't you get tired? Yes I do! and playing such a thing normally makes me cover the same distance as a soccer midfielder. So in Chess as any other sport you need good physics. It means that the exhibitioneer plays a game against another person with his or her eyes covered! Since I use visualization and project a chessboard inside my head. For example Pawn e2 to e4 and since the chessboard is a cordinate system I can than easily register my opponents moves in my mind. I have many years of experience in constructing and organizing events and below you can see some samples of previous events that I have done.